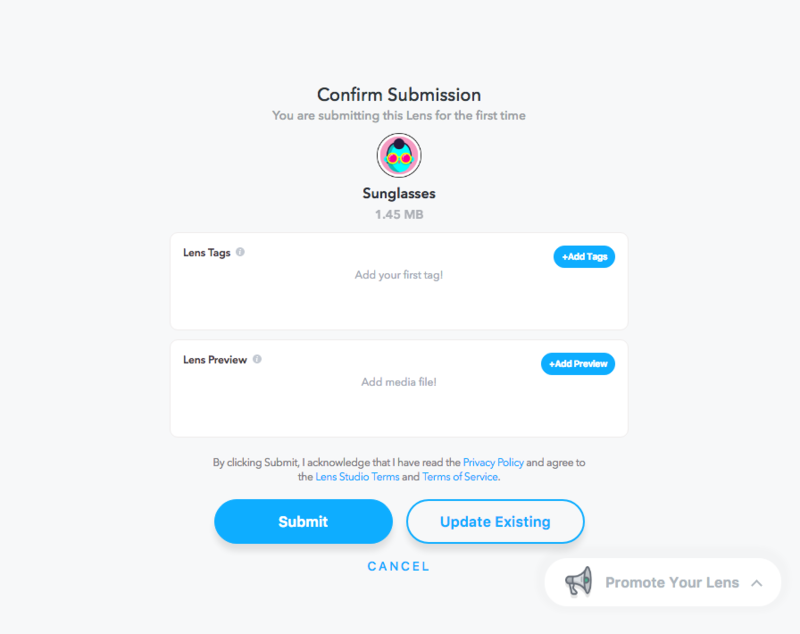 Submitting Your Lens - Lens Studio by Snap Inc.
Before submitting your Lens, make sure you have configured your project info. For more information about configuring your project info, please refer to the Configuring Project Info guide. Next, make sure your Lens meets the performance requirements detailed in the Performance and Optimization guide. Finally, make sure the Lens you are submitting meets our Submission Guidelines. To submit, select the Publish Lens button in the top left corner of Lens Studio. This opens the My Lenses window. If you have not configured your project info, the project info window will be opened instead. You'll now be prompted to log into Snapchat. 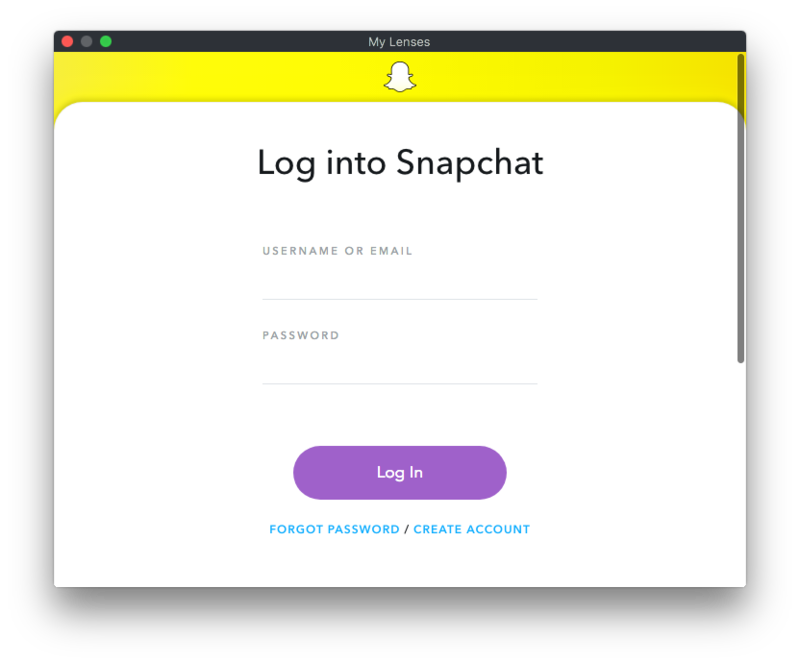 The username and password are the same ones you use for your Snapchat account. 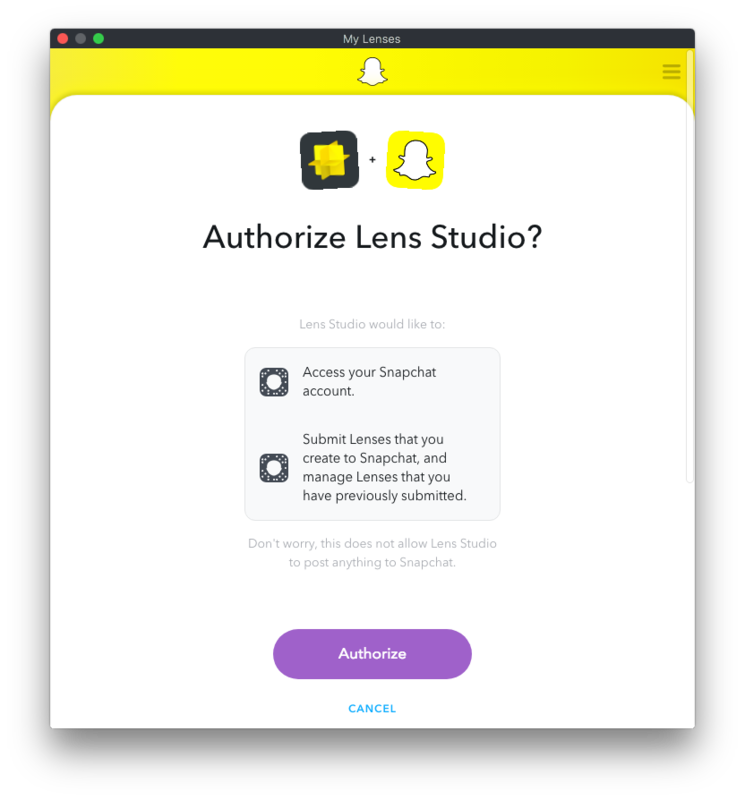 Next, you'll be prompted to authorize Lens Studio. Click Authorize. Once authorized, click Continue on the "Back to Lens Studio" prompt. If you're logged in (see above), you'll be prompted to confirm your Lens submission. Before submitting your Lens, we recommend creating a preview video. If you have added your preview video in the Project Info window, you do not need to add another one here. For more information on creating a preview video, follow the Creating a Preview Video guide. Click Submit to submit your Lens. If you're submitting this Lens for the first time you will receive a new Snapcode after your Lens has been successfully submitted. After upload, your Lens will be In Review for a short time and then it will go Live. See the section on Lens statuses below. After you have successfully submitted your Lens and received your Snapcode you may want to make changes to your Lens project. That's easy! 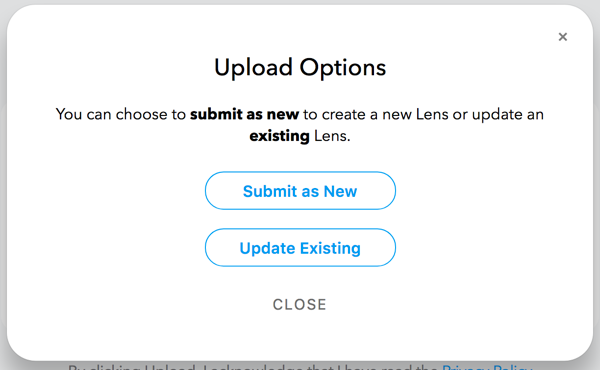 After you've made changes to your Lens you can click the Submit Lens button in Lens Studio again. The Confirm Submission window will be displayed and all you need to do is confirm by clicking Upload. Every update will first enter the In Review status again. Don't worry! During this period the current version of your Lens will remain active and people will still be able to scan and unlock your existing Snapcode. If you want, you can also update another Lens with the same Lens project. First, click the arrow on the right side of the Submit confirmation button. Click Update Existing and you will be shown a list of your previously submitted Lenses that can be updated. 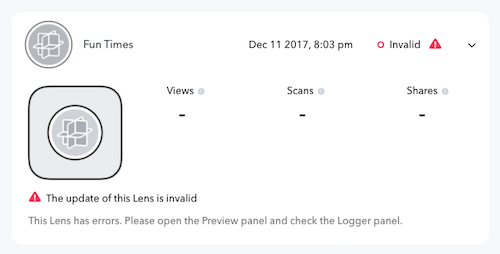 If you aren't seeing any Lenses, then you may not have submitted any yet, or they may be In Review and cannot be updated. Once you've uploaded your Lens, you'll be taken to the My Lenses portal. Here, you can see all Lenses that you've uploaded and monitor the submission process. You can also get to the My Lenses portal through the drop down to the right of the Submit button or by selecting Window -> My Lenses in the menu bar. Below you will find a brief description for each state your Lens could be in. 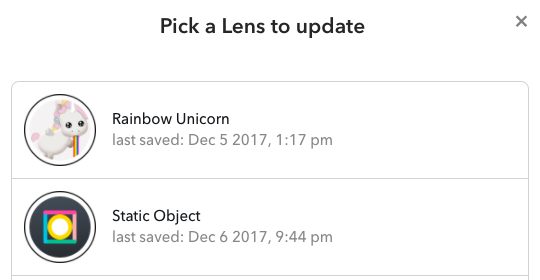 Your Lens's current status is displayed in the Status column of the My Lenses portal. While the Lens is waiting to be approved, the Lens will show as In Review under Status. If this is the first time you've submitted this Lens you won't yet have a Snapcode or any Lens stats. Lenses that are live will show as Live under Status. Click the Lens container in the My Lenses window to expand the Lens item. You will now see the Snapcode associated with the Lens. With this Snapcode, you are now able to share your Lens to others for use in Snapchat! Selecting the Share button and Copy Lens Link will copy a link to your clipboard that you can also share. For Snapchatters, clicking the link on their mobile device will automatically open Snapchat and prompt them to download the Lens. 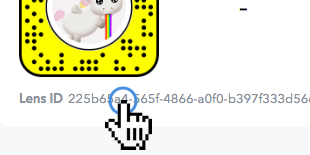 Selecting the Share button and Download Snapcode will give you a high-res image of the Snapcode. For best practices when sharing, please refer to the Sharing Your Lens guide. Sometimes you may want to take a Lens offline. You can do this any time by clicking the Deactivate button. If a lens has been deactivated, the lens will show Offline under Status. While a Lens is offline, the Snapcode will be deactivated and anybody who scans it will be shown an error message. At any time, you can make it Live again by clicking the Activate button. 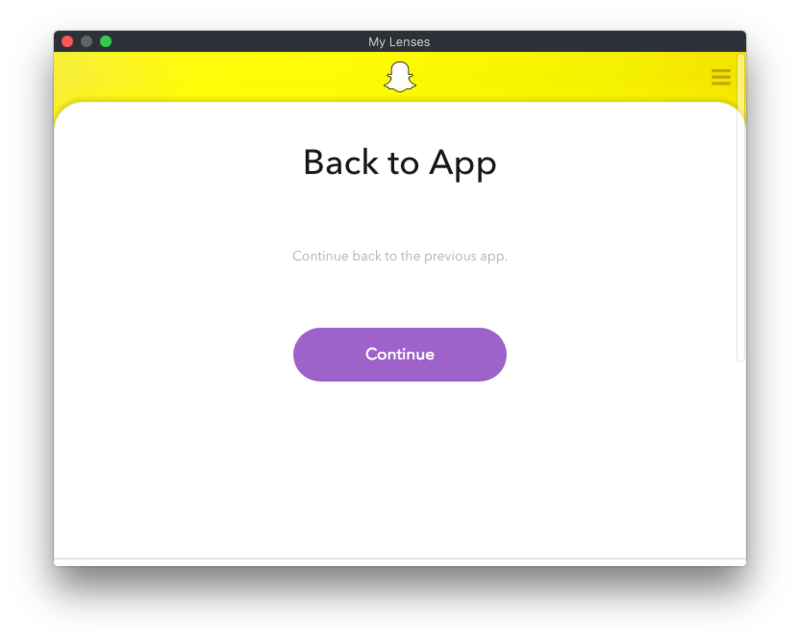 When deactivating (or reactivating) a Lens it can sometimes take approximately 10 minutes before the Snapcode stops working. Sometimes there might be a technical issue with your Lens. If this is the case, the status of your Lens will show as Invalid. There will be one or more reasons shown to help you debug and fix your Lens. You can then submit an update. Please refer to the Submission Guidelines under "Technical Requirements" for some reasons why it may be invalid. If the Lens has already been Live and it's just your most recent submission that is Invalid, the previous version will remain active and it can still be used by Snapchatters. If the lens has been rejected, the lens will show Rejected under Status. For more information on why a lens might have been rejected, please refer to the Submission Guidelines. When your Lens is rejected, it can no longer be unlocked. However, if your Lens has been rejected you have the opportunity to modify your Lens Project, fix the content, and submit an update. Each Lens has a unique identifier. This is useful for being able to distinguish different Lenses you have submitted if they have a similar name or icon. It will also be needed for entering our Challenges or possible support requests. To copy your Lens ID go to My Lenses and hover over the label below your Snapcode. Click, and your Lens ID will be copied to your clipboard.